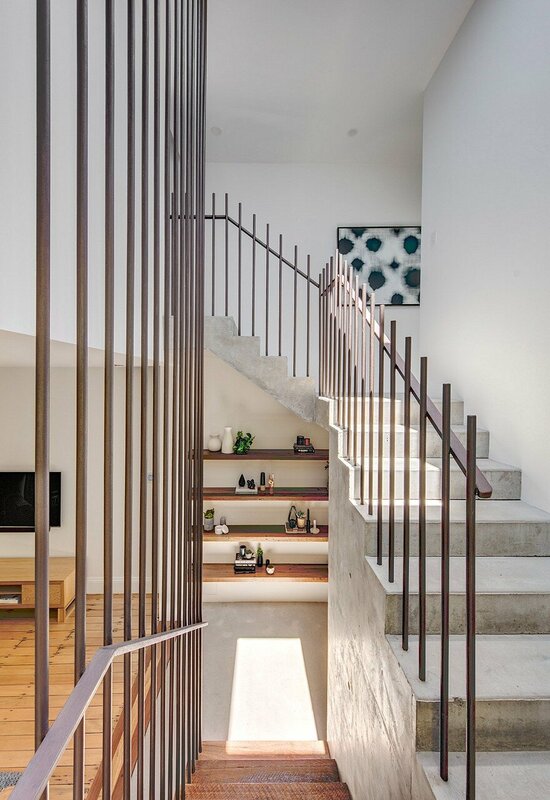 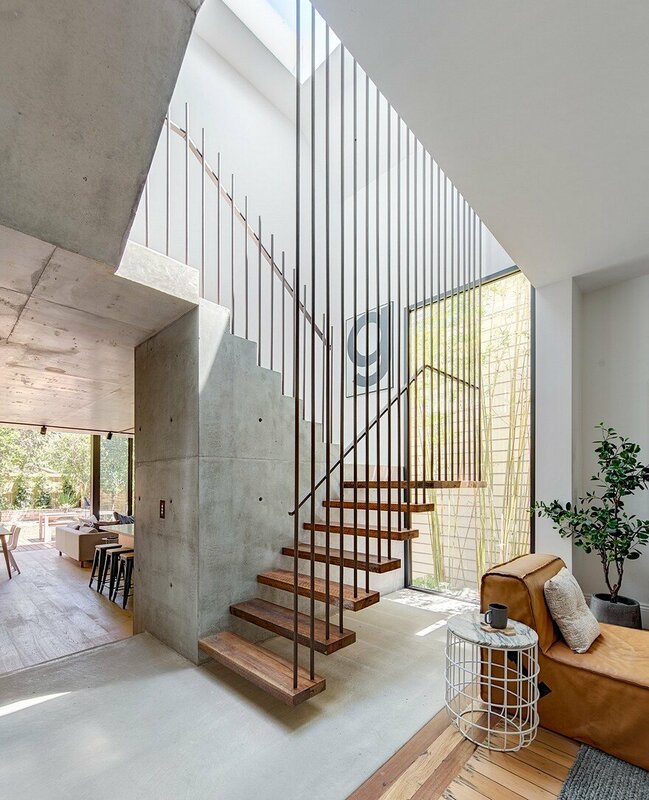 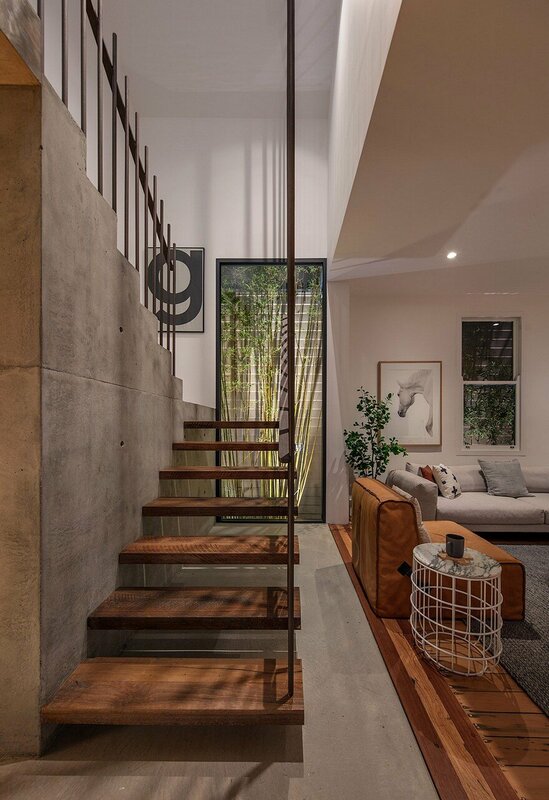 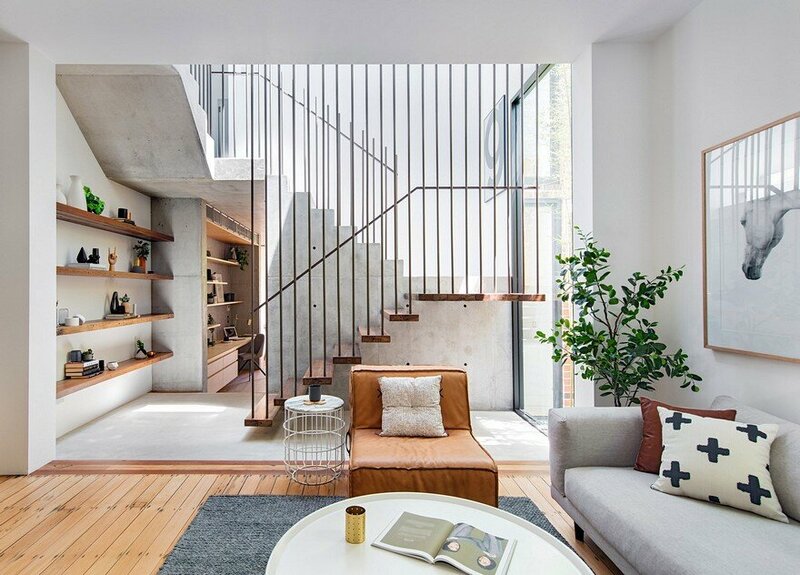 Balmain Semi House was completed in 2017 by Sydney-based CO-AP Architects. 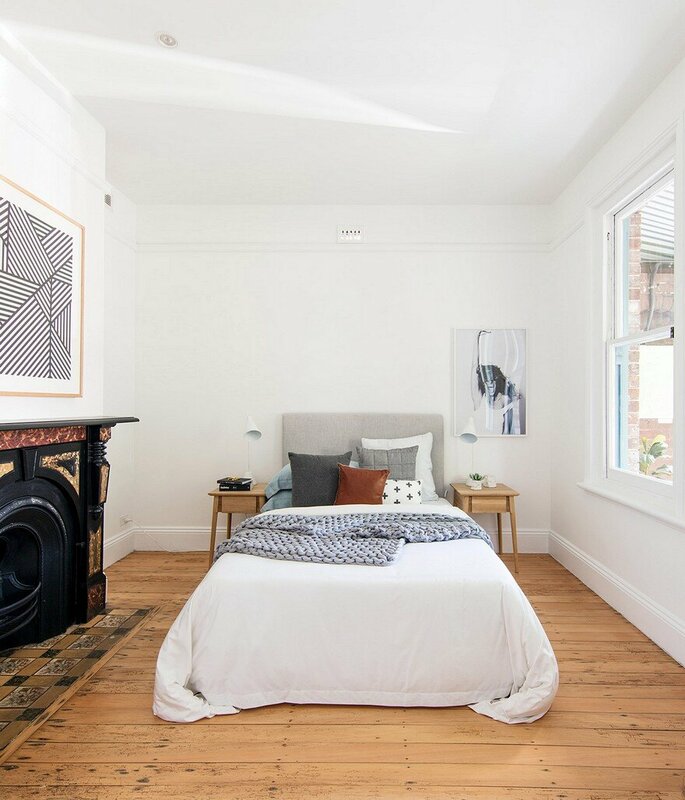 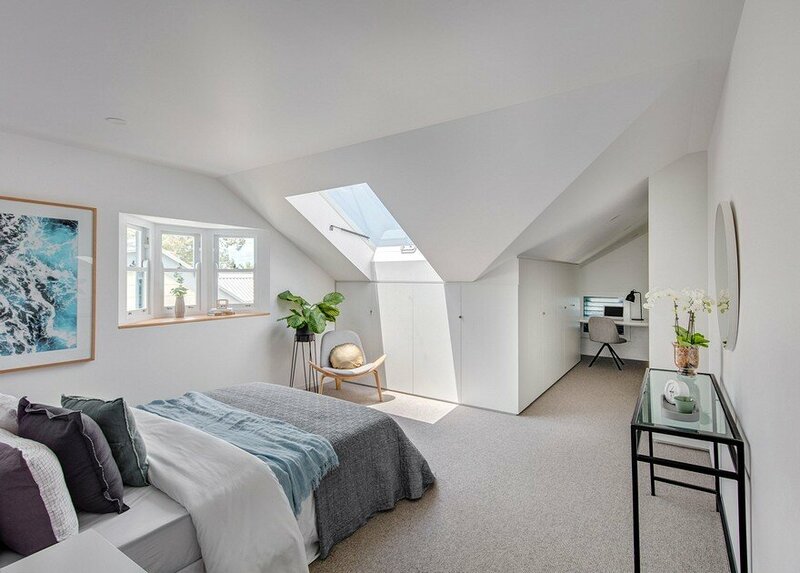 From the architect: This project is an alterations and additions to an early 1900s two bedroom single-storey semi-detached house. 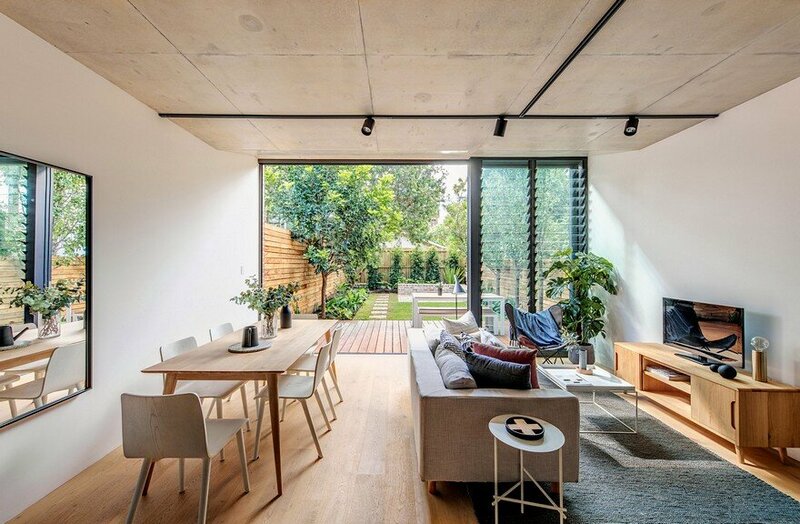 Our client, a builder/developer, approached us with an existing planning approval for the property and engaged us to complete the detail design and interiors for the project. 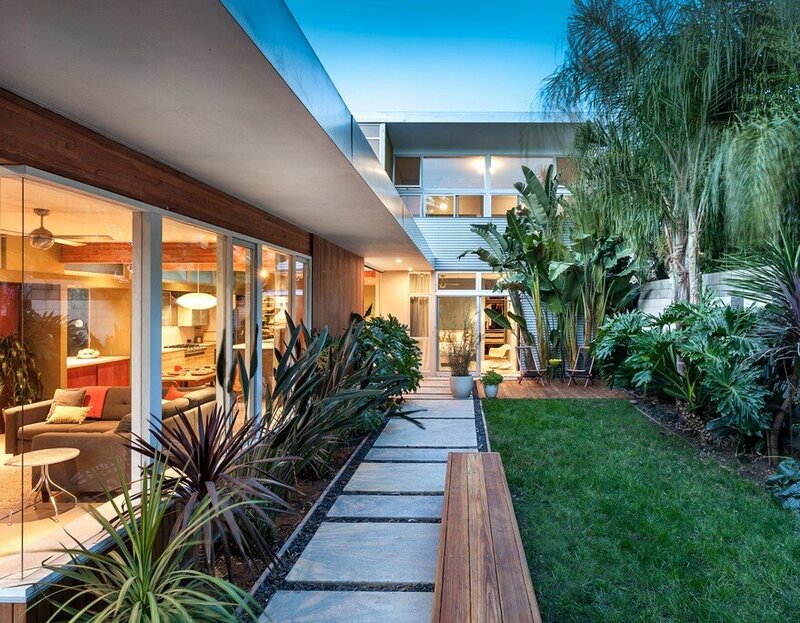 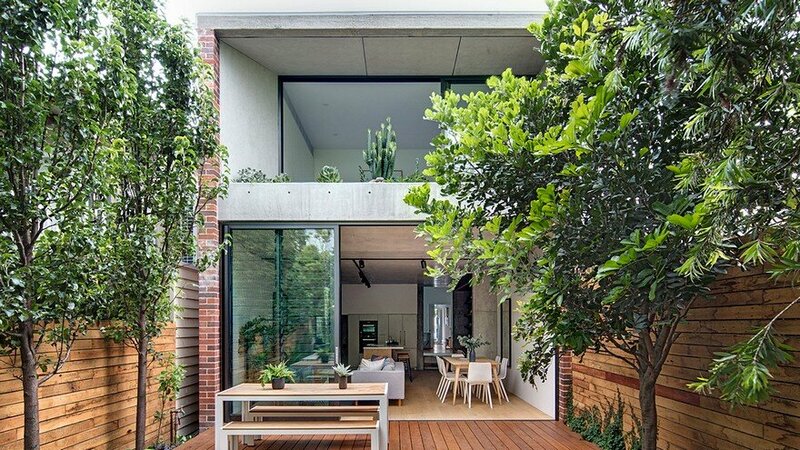 Maximising daylight and green space was a priority. 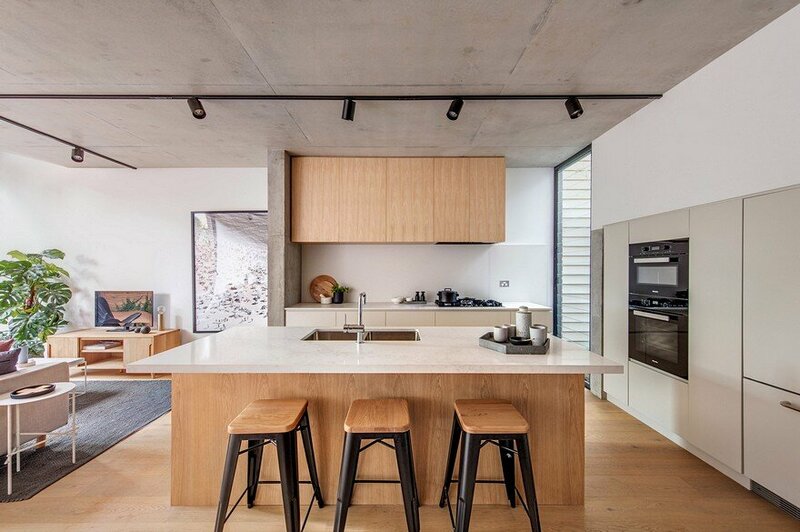 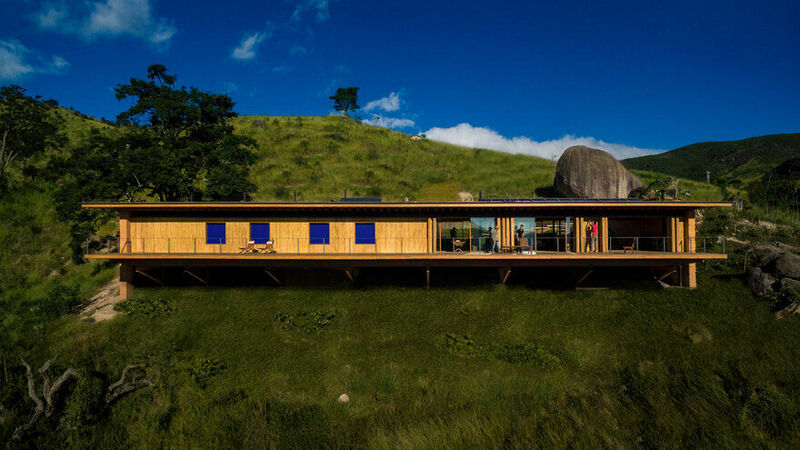 Off-form concrete and Australian timbers were used for the two-storey rear additions which are contained within the existing ridgeline set-out in the original planning approval. 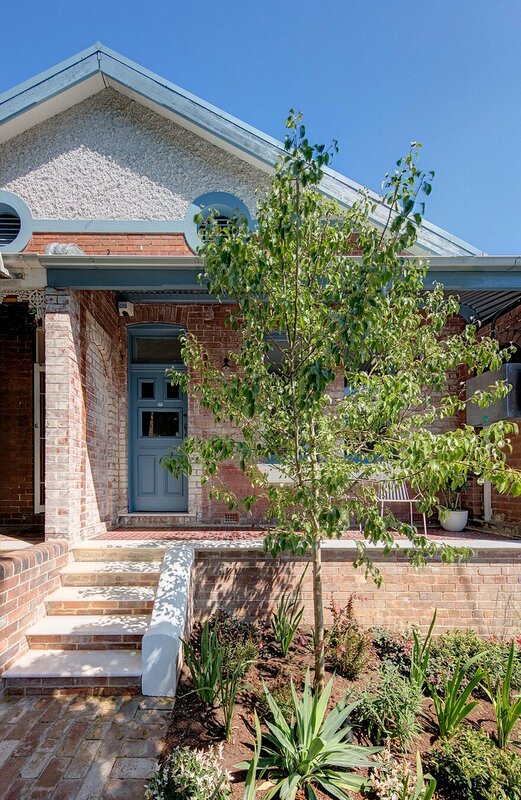 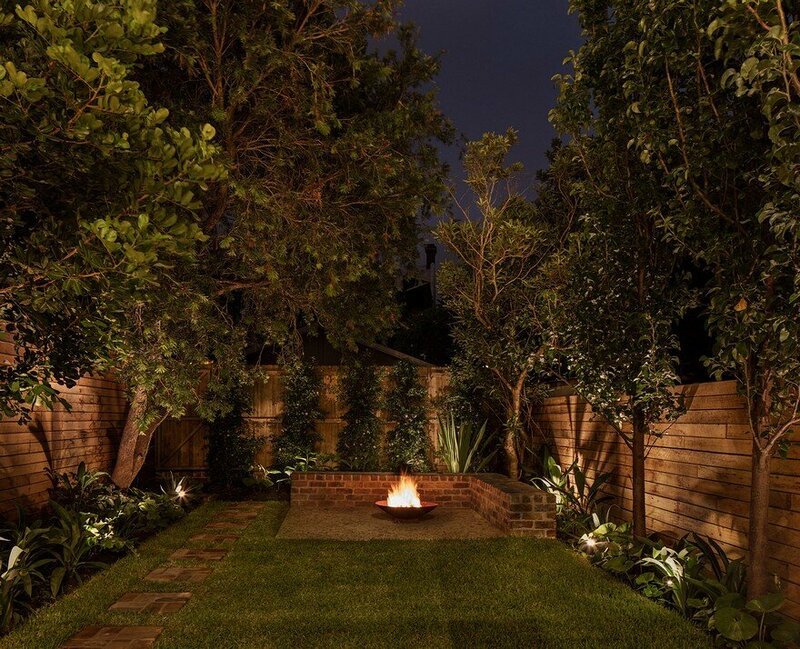 Although there was an opportunity for rear lane access to potential off-street parking, our client opted to invest in improving the existing garden as they felt landscaping was more a valuable asset than car spaces in the inner city. 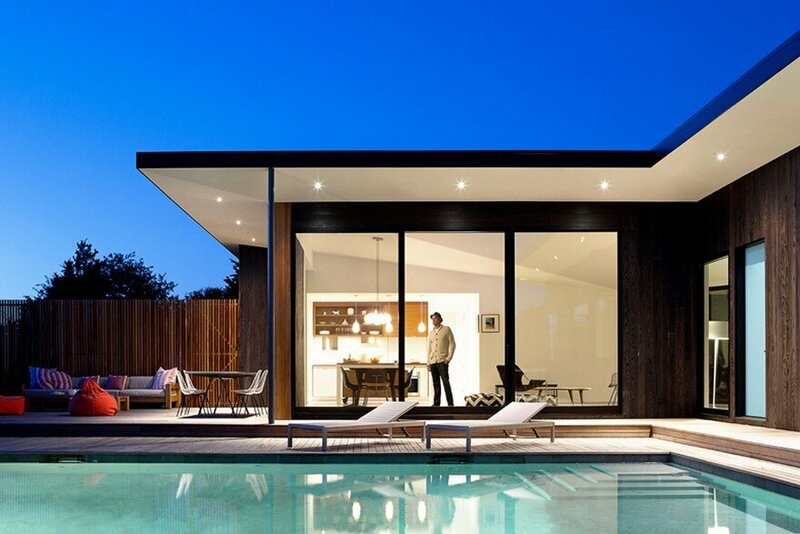 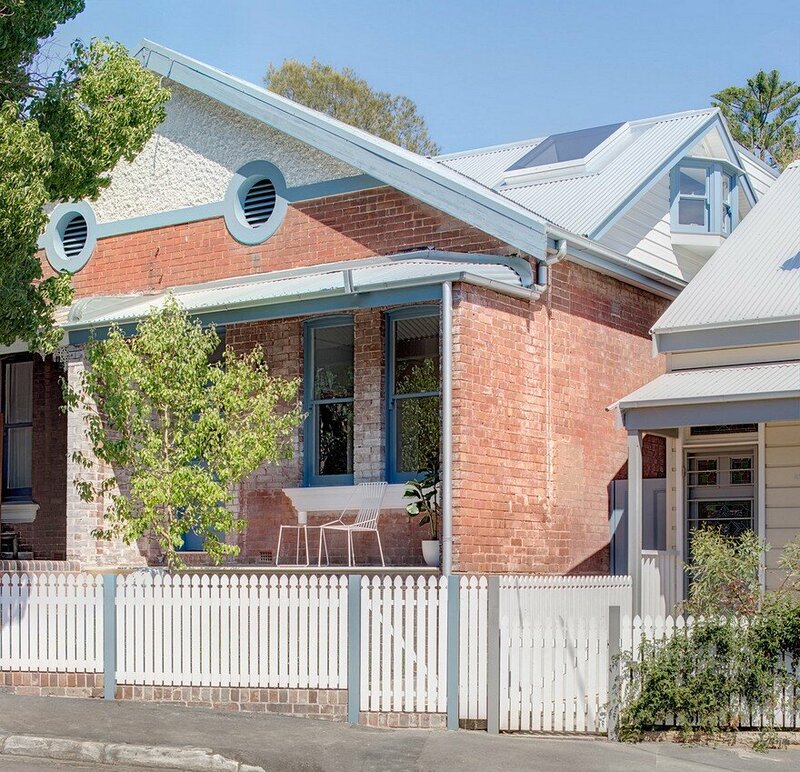 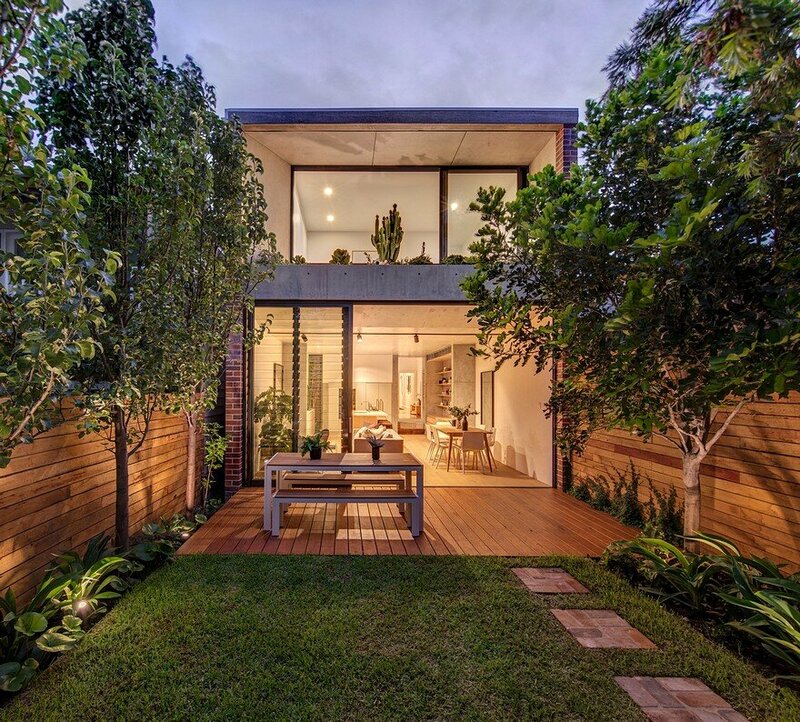 This was a brave risk to take for a speculative project in Balmain and it has paid off. 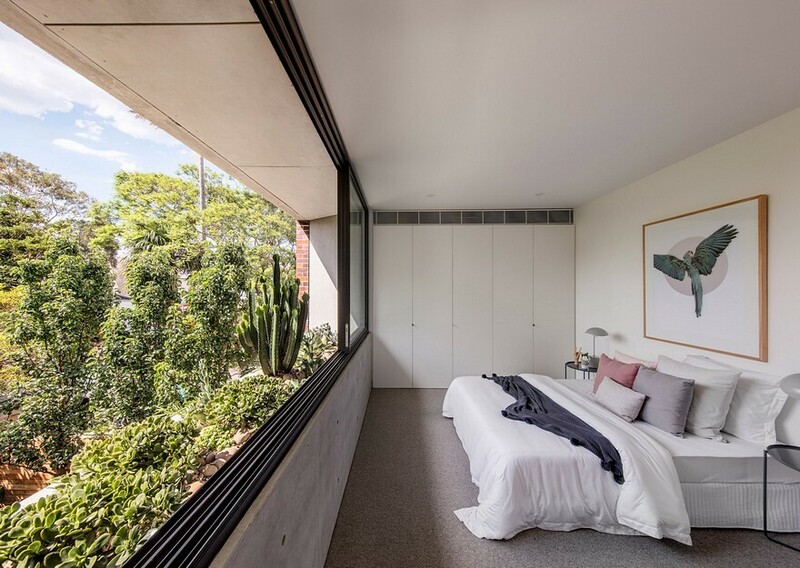 An elevated planter filled with succulents provide privacy and a verdant outlook from the upper floor rear bedroom. 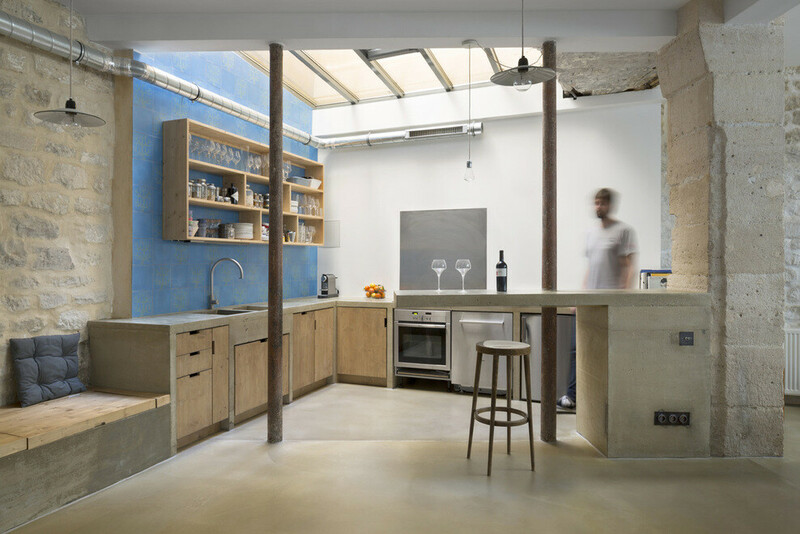 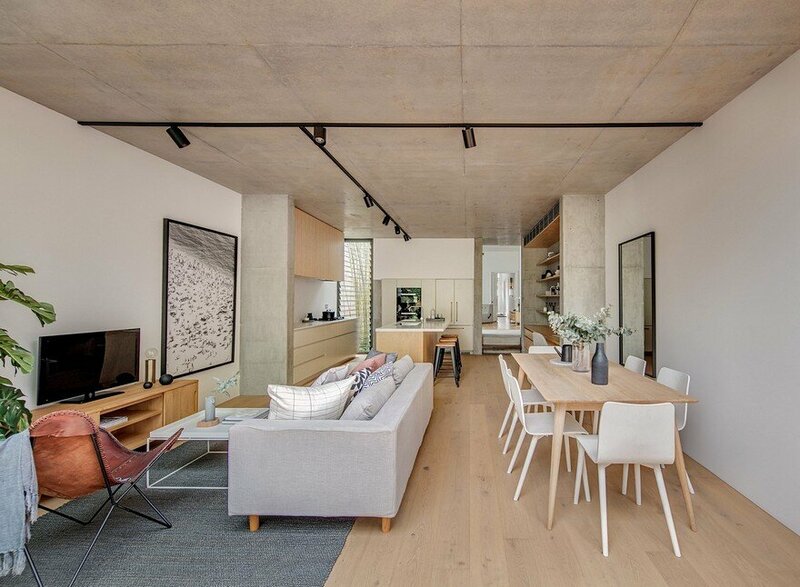 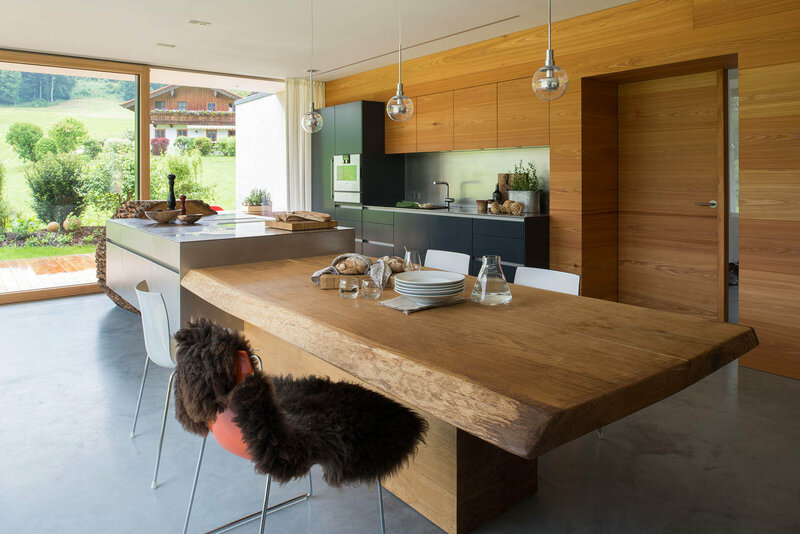 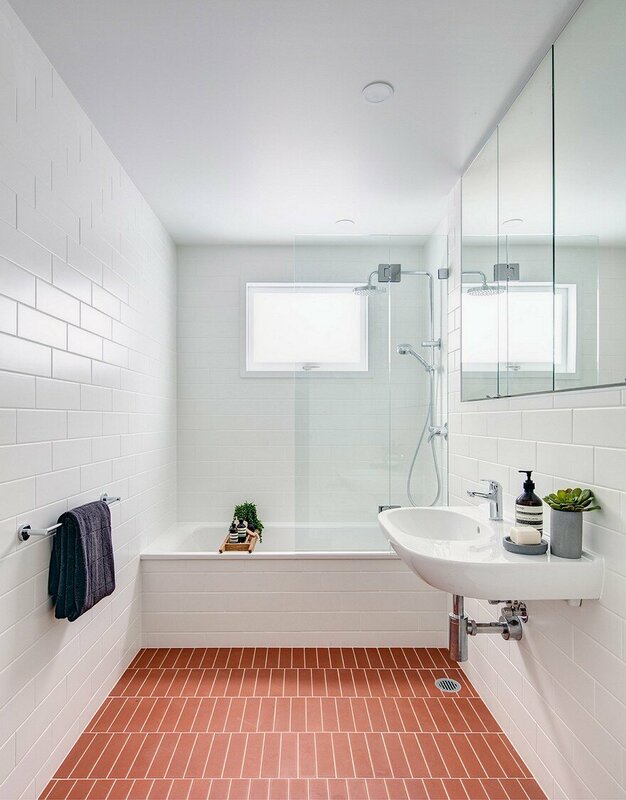 The palette of interior finishes have been kept crisp, fresh and simple – incorporating concrete, timber, terracotta and stone.